The Origin theme continues with the June release of the Metallic Mirror Face Series featuring the G-Shock DW-5600 and DW-5700, two base models inspired by the original G-Shock and the first-ever round-face model. 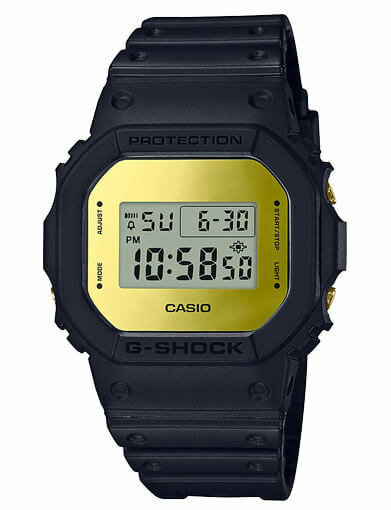 This series features basic black matte exteriors with a mirror finish display frame in silver or gold. These displays are created using a special vapor deposition process that applies a reflective material to the inside of the glass. The absence of bezel lettering allows the metallic finish to stand out. With its highly reflective face, this looks like the type of watch that needs to be seen in person to be fully appreciated. 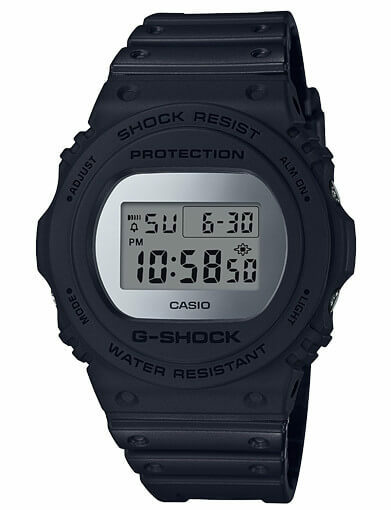 It appears to be the same type of reflective face as the recent Pigalle x G-Shock DW-5600 collaboration watches but with different colors. Models include (from left to right) the DW-5600BBMA-1, DW-5600BBMB-1, DW-5700BBMA-1, and DW-5700BBMB-1, scheduled for a June 2018 release in Asia. 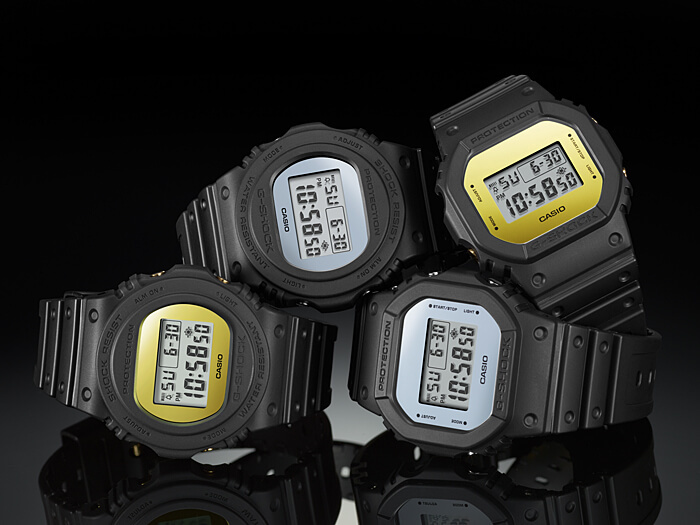 Update: The DW-5600BBMA-1JF, DW-5600BBMB-1JF, DW-5700BBMA-1JF, and DW-5700BBMB-1JF are June 2018 releases in Japan. Silver metallic mirror face and silver buttons. Gold metallic mirror face and gold buttons.